Cottonwood Shores Public Boat Ramp: A municipal facility on Lake Marble Falls, included swimmiing area, boat parking. Located off the intersection of Lakeview and Westwood drives. 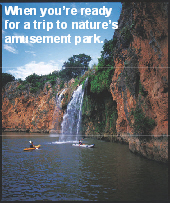 PARKS: There are many state, county and LCRA parks in the greater area as profiled on the Portal Parks page. HISTORY: Handbook of Texas Online: "By the early 1970s Cottonwood Shores was shown on county maps as a residential development situated along the Colorado River just below Lake Lyndon B. Johnson. The community incorporated around 1987 and established a mayor-council form of city government. In 1990 the population was 548. That figure had increased to 877 by 2000. Cottonwood Shores has its own police department and volunteer fire department, as well as a community theater. Cottonwood Community Church serves an interdenominational congregation." See services provided by agencies in Marble Falls. Most services are provided by agencies in Marble Falls. Note: Also see nearby Horseshoe Bay because of the close proximity and many businesses use the Horseshoe Bay post office address. Note: Most other services are provided by agencies in Marble Falls. As a residential community, there are no hunting opportunities in this town. COTTONWOOD STORAGE: 830-693-6431; FM-2147, Cottonwood Shores, TX 78657. (THE) HILL COUNTRY COMMUNITY THEATRE (HCTC): Tickets: 830-798-8944; Ofc: 830-693-2474; 4003 FM-2147 W, Cottonwood Shores, TX 78657. www.thehcct.org. A non-profit organization founded in 1985. They stage family-oriented theatre, with four nonmusical and two musical productions per season, with at least one summer production geared toward the involvement of kids as well as adults. The theatre facility is available for rental. FORNO'S AT LAKE LBJ YACHT CLUB & MARINA: See listing above. REPUBLIC SERVICES: 480-627-2700; Phoenix, AZ.